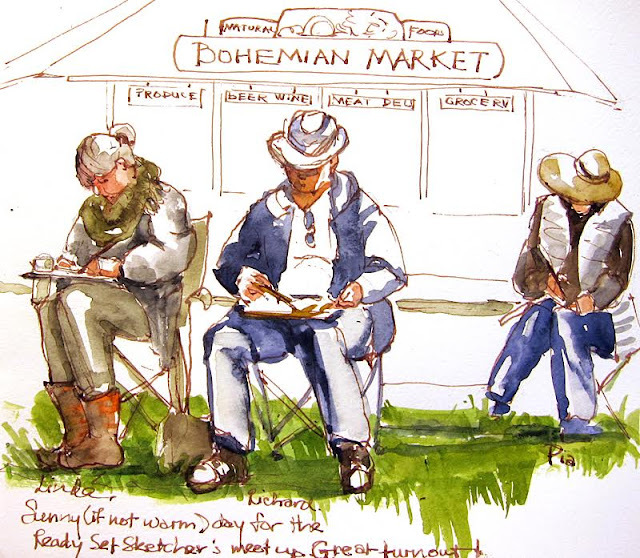 After days of storms, freezing temperatures and flooding, there was a fine turnout of the North Bay Urban Sketchers on a sunny (if not warm) morning in Occidental, California. 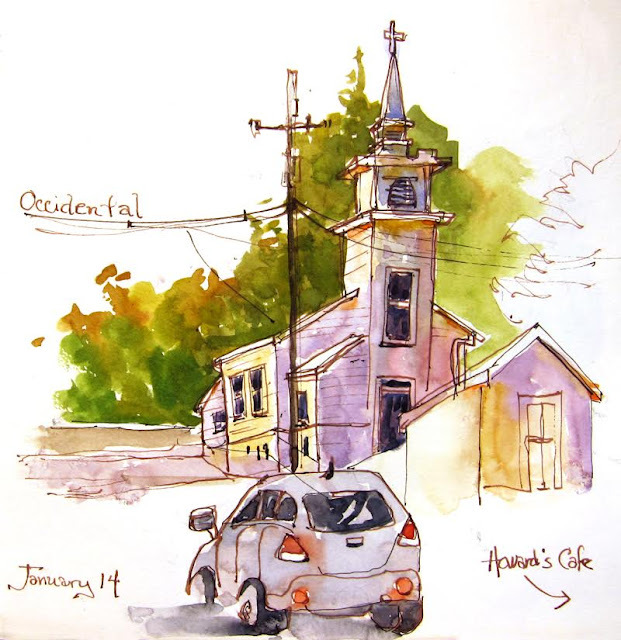 Occidental is a friendly little town nestled in the redwoods not far from the ocean. This white church set against the wooded hillside was backlit, which meant staring into the low hanging sun to sketch it. But after so many days of rain and cold it was a delight to experience the tentative warmth of that winter sun. Next spot right across the street was the pub Barley and Hops. 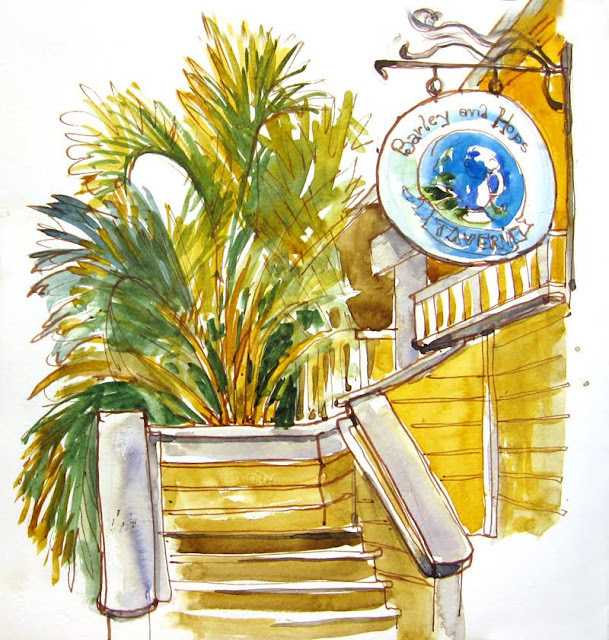 Once again, facing into the sun I zeroed in on just the porch and elegant palm fronds. I turned around and there were the sketchers engrossed in their art. There are few better subjects! Only the warm jackets betray the fact that it’s winter here in California, as winter is a most verdant time of year. Susan Cornelis is a professional painter/teacher and urban sketcher based in the North Bay of the San Francisco Bay area in California. You can see more of her sketches on her blog.